Located in a geothermic park, a Unesco heritage site, the Blue Lagoon is one of Iceland’s most popular attractions. It consists of a series of pools full of seawater, which is particularly rich in minerals such as silicon and sulphur. These pools are heated by the geothermic centrals spread all over the country. 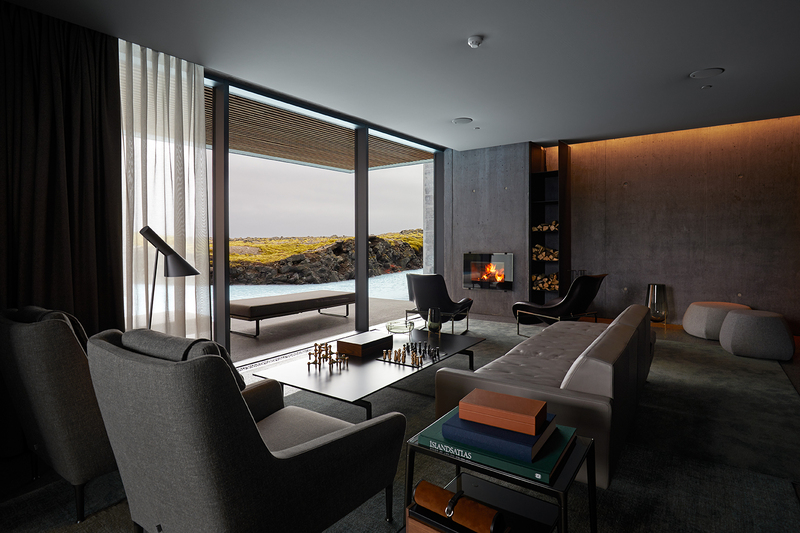 The original Blue Lagoon project, along with the first Silica hotel and its restaurant, was created by Sigríður Sigþórsdóttir, founder of the Basalt Architects firm. This firm recently worked with Design Group Italia to complete the construction work of The Retreat Spa, started in 2014. 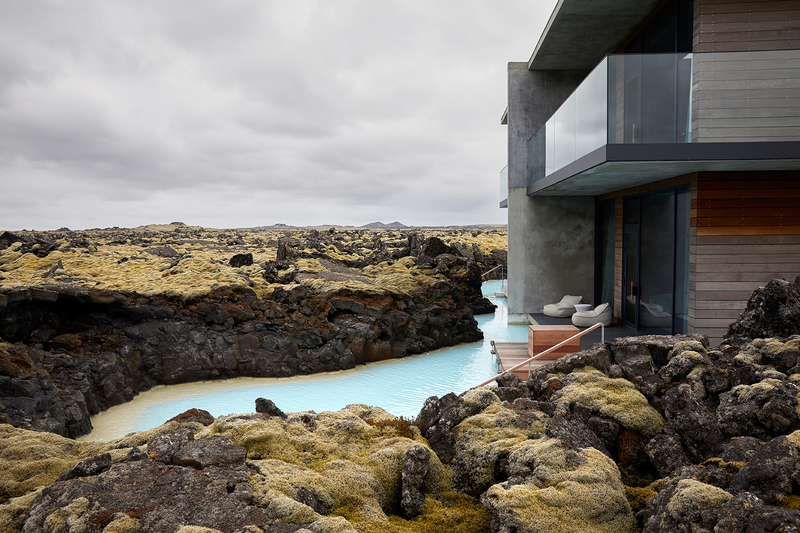 The design of this new area emphasizes the natural elements around the Blue Lagoon and minimizes the building’s impact on the surrounding landscape by setting this architectural structure inside some volcanic cracks in a harmonious way. A high level of flexibility characterises this project in order to adapt the plan to possible, unforeseen discoveries during the excavation works. In fact, the structure presents some natural elements embedded as if they were some typical landscape features. The materials used for this project have been chosen according to the landscape’s colours and look: rough plaster, wood and lava. The predominant concrete structure includes some prefabricated and customized elements. The outer concrete has been treated in order to create walls with different patterns and tones that evoke silica white and solidified lava grey. The facade and the rooms’ glass windows facing the spa zone, on the other hand, are painted dark grey and present some perforations that recall the surface of igneous rocks. 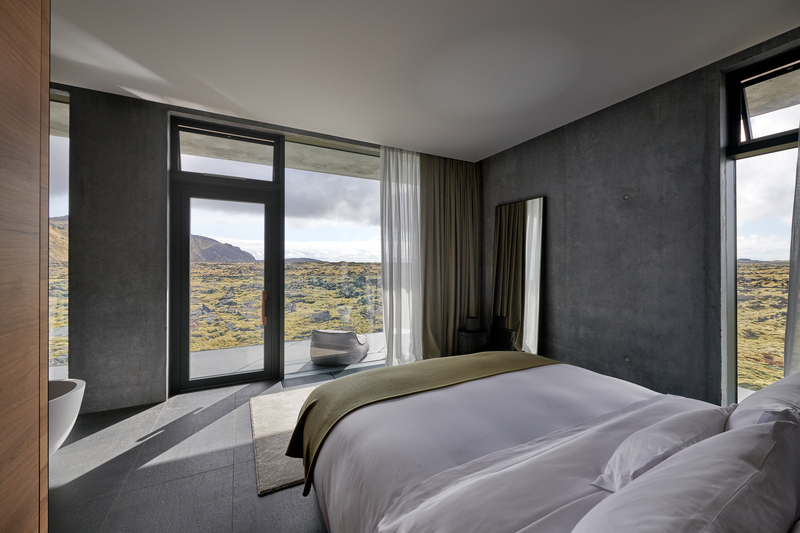 The 62 suites have been decorated by B&B Italia in a minimalist style, with great bright glass windows that offer a spectacular view of either the laguna or the expanse of mossy rocks. Lava has been used inside too, to create surfaces and objects suitable to the context. This includes the reception countertop and the chef’s table of the new Moss restaurant. The restaurant’s wine cellar has been derived from the prominent rocky walls illuminated from below, which, together with the hanging chandeliers, create a calm and enchanting atmosphere.